A North Carolina man has just been apprehended by the authorities and has allegedly been accused of running over his girlfriend with his car after a heated argument. The Sheriff has reported that the defendant was arrested early Friday morning, around 10:30 on bond. He has been accused of killing his 29-year-old girlfriend of over three years. Not too many details have been released, but we do know that the couple was in a serious argument right before the incident, as reported by eye witness who heard “screaming.” Somehow, both parties ran outside, the defendant jumping in his vehicle, and the victim running on foot. It was there that she was hit by the defendant’s car. The police found the defendant in his vehicle on N.C. Highway 88, where his car had become stuck in the mud. § 28A-18-2. Death by wrongful act of another; recovery not assets. ” (a) When the death of a person is caused by a wrongful act, neglect or default of another, such as would, if the injured person had lived, have entitled the injured person to an action for damages therefor, the person or corporation that would have been so liable, and or her the personal representatives or collectors of the person or corporation that would have been so liable, shall be liable to an action for damages, to be brought by the personal representative or collector of the decedent; and this notwithstanding the death, and although the wrongful act, neglect or default, causing the death, amounts in law to a felony. The personal representative or collector of the decedent who pursues an action under this section may pay from the assets of the estate the reasonable and necessary expenses, not including attorneys’ fees, incurred in pursuing the action. At the termination of the action, any amount recovered shall be applied first to the reimbursement of the estate for the expenses incurred in pursuing the action, then to the payment of attorneys’ fees, and shall then be distributed as provided in this section. The amount recovered in such action is not liable to be applied as assets, in the payment of debts or devises, except as to burial expenses of the deceased, and reasonable hospital and medical expenses not exceeding four thousand five hundred dollars ($4,500) incident to the injury resulting in death, except that the amount applied for hospital and medical expenses shall not exceed fifty percent (50%) of the amount of damages recovered after deducting attorneys’ fees, but shall be disposed of as provided in the Intestate Succession Act. The limitations on recovery for hospital and medical expenses under this subsection do not apply to subrogation rights exercised pursuant to G.S. 135-45.1. All claims filed for such services shall be approved by the clerk of the superior court and any party adversely affected by any decision of said clerk as to said claim may appeal to the superior court in term time. Accidents happen all the time. Sometimes people are not injured, but sadly, this is not always the case. Other times, incidents that may “appear” as an accident may not be. Whatever the case maybe, you do not have to go at it alone. A North Carolina man, who collided with a pickup truck on Carolina Beach Road, was pronounced dead at the scene. A Lieutenant for the Wilmington, North Carolina Police Departm ent said a white Harley Davidson was heading southbound on Carolina Beach Road when the driver of the pickup truck was pulling out of a parking lot. He was then broadsided by the motorcycle. 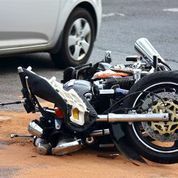 The rider of the motorcycle is reported to have died on impact, and Carolina Beach Road was closed off at Independence Boulevard and Raleigh Street and the area was shut-off just like a crime scene. Sometimes you can recover for and injury or wrongful death or personal injury and sometimes suit is not an option. North Carolina abides by the contributory negligence model for personal injury. This is the least favorable threshold for injury victims. 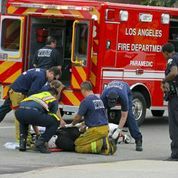 This means that if you are negligent in any way – even 1 percent at fault, you cannot collect one dollar in damages. It is important to have a skilled attorney to prove that the plaintiff was not, in any way, at fault.